This bright orange Goodrich Securite Tires is 32″ by 24″. 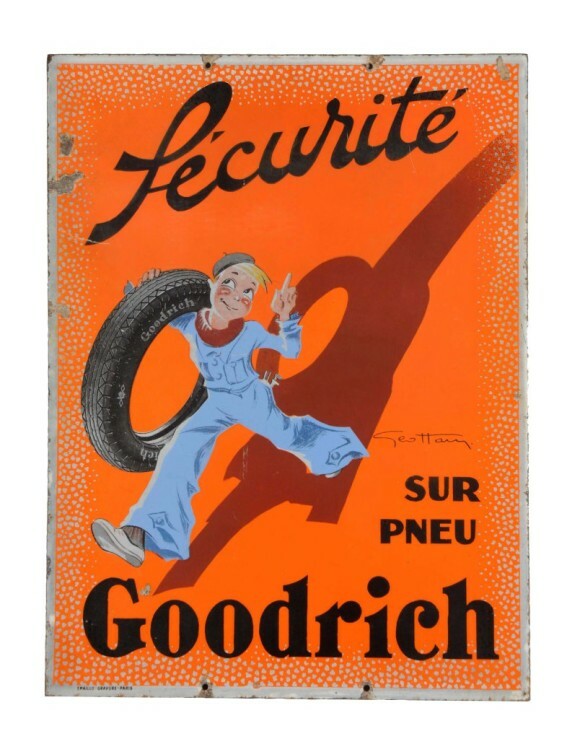 The sign shows an illustration of a boy carrying a Goodrich tire and holding up one finger to symbolize that Goodrich is “Number 1.” The text reads “Securite Sur Pneu Goodrich.” The illustration was done by Geottany. This rectangular sign has holes at both the top and bottom for mounting.